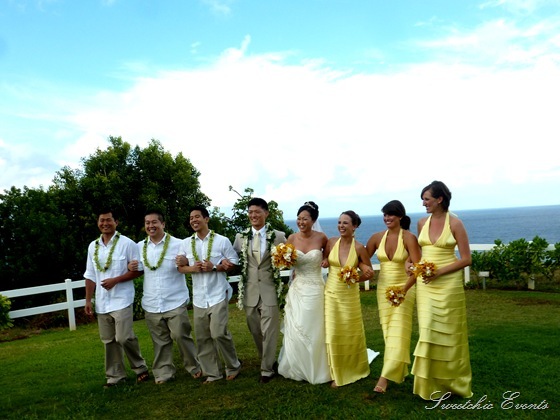 A Kauaiian Wedding — Sweetchic Events, Inc.
Aloha! I’ve been back from Hawaii for over a week now and in total denial about being back in the “real world”. I’d give alot to be back there in Paradise, eating Hawaiian food to my heart’s content! Alas, I don’t think I’ll be moving there anytime soon :) The main purpose of our vacation was to celebrate with our friends, Richard and Sue, as they tied the knot on the stunning island of Kauai. 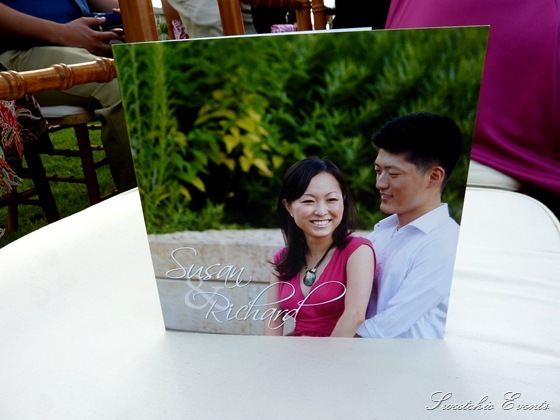 Nearly all of the guests arrived on Monday, so Rich and Sue opted to host their wedding the day after, on Tuesday. That way everyone could enjoy the rest of their trip and do as they pleased. The gentlemen standing at attention (that’s my hubby, Groomsmen #2). 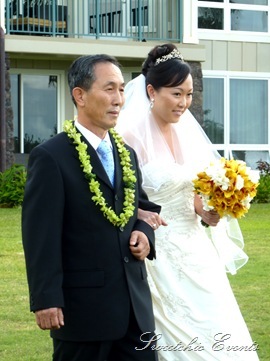 One thing I was slightly scratching my head about was why the wedding planner (a Kauai local) had the guys standing on the left side of the ceremony arch instead of on the right side, as we normally see here on the “mainland”. Maybe it’s a Hawaiian thing? I love this shot! I was impressed with my camera’s zoom, as I was sitting in the 3rd or 4th row. Sue greeting her new Mother-in-Law… so cute! The infamous bridal-party-walking-forward shot. I think I’m gonna be a wedding photographer now… KIDDING! !